Military Assistance Advisory Group (MAAG) Thailand, established September 1950. JUSMAGTHAI established September 22, 1953 superseding the Military Assistance Advisory Group (MAAG) Thailand. When the first U.S. Army aviation units arrived in Vietnam in December 1961, the need for logistical support sharply increased. The 9th Logistic Command on Okinawa to send an eleven-man logistic support team to South Vietnam on 17 December 1961. MACTHAI established May 15, 1962, with Gen. Paul D. Harkins, commanding MACV, given simultaneous command of MACTHAI initially consisted of the following: A U.S. joint task force (JTF 116) in Thailand deployed as an element of the SEATO exercise and later held there because of Communist activity in Laos; the Joint U.S. Military Assistance Group, Thailand (JUSMAG); and other U.S. Military elements deployed to Thailand, many from Okinawa. Army units in Thailand were placed directly under MACTHAI on October 30, 1962. 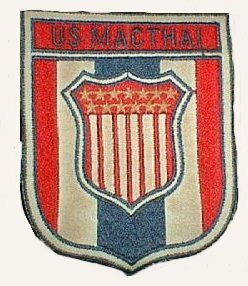 The original designation of MACTHAI was U.S. Military Assistance Command, Vietnam-Thailand and called the Military Assistance Group in Thailand (MAGTHAI). MACTHAI would have operational control over all U.S. forces in Thailand. JUSMAGTHAI established September 22, 1953, superseding the Military Assistance Advisory Group (MAAG) Thailand, established September 1950. MACTHAI established May 15, 1962, with Gen. Paul D. Harkins, commanding MACV (SEE 472.3), given simultaneous command of MACTHAI. Coordination of MACTHAI and JUSMAGTHAI activities effected through the appointment of Chief of JUSMAGTHAI as Deputy Commander, MACTHAI, October 31, 1962, with responsibility for operational control of U.S. logistical troops in Thailand. Chief of JUSMAGTHAI named Commander, MACTHAI, July 10, 1965, with headquarters in Bangkok. 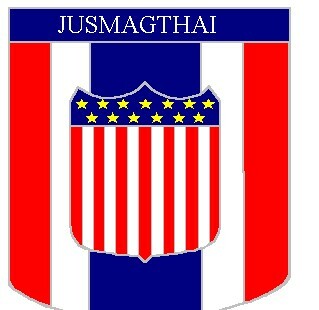 MACTHAI and JUSMAGTHAI formally combined to form new organization, MACTHAI/JUSMAGTHAI, April 21, 1975. MACTHAI/JUSMAGTHAI was abolished July 20, 1976 and returned to the designation of JUSMAGTHAI. JUSMAGTHAI continued operating under CINCPAC in Bangkok. Reorganization of CINCPAC, changed US Army Pacific forces into the United States Pacific Command (USPACOM) at Camp H. M. Smith, Hawaii. JUSMAGTHAI is now the dominant part of USPACOM in Thailand and is currently located in Bangkok and has a website JUSMAGTHAI. JUSMAGTHAI is the U.S. Security Assistance Organization (SAO) in Thailand, as well as the in country OPR for all U.S. bilateral and multilateral military exercises and operations conducted in Thailand. The Chief of JUSMAGTHAI is the Senior Defense Officer/ Defense Attache (SDO/DATT) in Thailand. In addition to its military chain of command, JUSMAGTHAI is also responsible to the U.S. Ambassador to Thailand. Unlike most SAOs, JUSMAGTHAI has primary responsibility, or otherwise directly supports, a variety of missions. These include a robust Joint Combined bilateral Exercise Program (averaging over 40 exercises a year), one of the largest International Military Education and Training (IMET) programs in the world, Humanitarian Demining, and Counterdrug missions. Although JUSMAGTHAI coordinates with many U.S. Government organizations in the U.S. Embassy, JUSMAGTHAI is not physically located in the embassy and is not a part of the U.S. Defense Attache's Office (USDAO). JUSMAGTHAI is located in a Royal Thai Supreme Command military compound of six 3-story buildings located approximately two kilometers from the U.S. Embassy, on Sathorn tai Road.